What could be better for any 1.8TSI owner than getting 2.0 TSI performance out of his car? 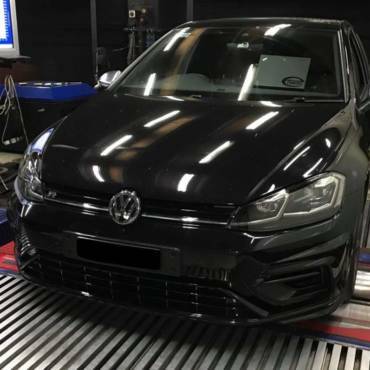 This setup uses the VW Golf 7 GTI turbo on the 1.8 TSI Gen3/MQB platform. The essence of the upgrade is to produce 2.0 TSI stage 1 results, only from a 1.8 TSI engine with an upgraded downpipe. The stock turbo on the Seat Leon 1.8 TSI MQB is the IS12. The IS20 is a direct bolt-on replacement. 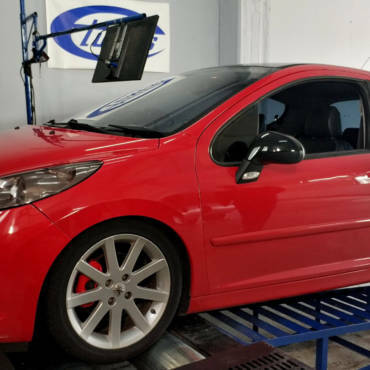 Based on the engine’s performance as a stage 1 and stage2 on the stock turbo, it is a natural development in its evolution and a key step before the IS38 turbo kit. The IS38 turbo kit is not DSG7 friendly, which effectively limits its application to manual gearbox cars. Street performance is even more impressive than the numbers alone. Stay tuned for videos coming up! Shoutouts to MaxTuning, vrteam and Argonetics! do you have any issues with the waste gate? We don’t have any issue! Thank you! No one wants to try this “new” modification in my country, so I´m trying to investigate all the issues and the extras, if needed, for the installation. how is the car running now? Any issues with the gearbox yet? The car run fine with no issues at all. Thanks, has the owner done any additional mods after this? I’m looking at doing the same upgrade on my 8v A3 1.8tfsi.